Grilling with friends, beach trips, finally being able to wear your favorite American flag bathing suit—July 4th has a lot to look forward to. All that patriotic celebrating usually culminates in an impressive display of light and sound, but not everyone in the family is as excited about holiday fireworks as you are. When you see pretty lights in the sky, your dog experiences all the worst kinds of fear. Keeping your pup at home, closing all the doors and windows, and wrapping them up in an anti-anxiety shirt are all ways to help them cope with Fourth of July fireworks. For dogs with serious anxiety, however, it might be time to try something new. CBD oil is a safe, all-natural solution to a number of canine health issues. It does things like relieve pain from arthritis and stop seizures, and it also plays a big role in easing anxiety in dogs. Here’s what you need to know. Cannabidiol (CBD) is a type of cannabinoid found in cannabis. There are over 100 different cannabinoids, and CBD is the big player when it comes to healing and well-being. It’s found in both marijuana and hemp, and once it’s extracted, it’s turned into the substance called CBD oil. The reason why CBD oil is so beneficial for the body has to do with the endocannabinoid system. 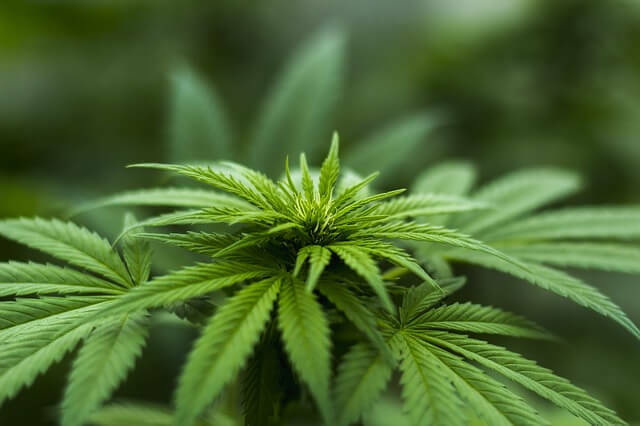 All mammals—people and dogs included—have endocannabinoid systems comprised of interconnected cannabinoid receptors These receptors are in charge of relaying important information about what’s going on in the body to trigger the appropriate immune response. It’s the body’s command center for health and healing. CBD oil comes into play because, as a cannabinoid, it can bond with these receptors to allow better communication. It tells the system what kind of immune response is needed, and it’s a completely natural way for the body to bring itself back into balance. There’s no denying the fact that marijuana is bad for dogs. Pets should never be exposed to the marijuana plant or its smoke. One of the main reasons why marijuana is harmful to dogs is because it contains the psychoactive cannabinoid called THC. THC has certain similarities with CBD, but there are two big differences. The first is that unlike THC, CBD can’t make you high. As an isolated cannabinoid, CBD doesn’t have any of the psychoactive properties of THC. The second difference is that while CBD oil is found in both marijuana and hemp, THC is only found in marijuana. Hemp is the safer, non-psychoactive type of cannabis, and CBD oil from hemp is virtually THC-free. It’s legal in all 50 states, and CBD oil derived from hemp is a safe and effective way to treat both dogs and the people who love them. Not every dog is afraid of fireworks, but for those that are, it’s seriously scary. 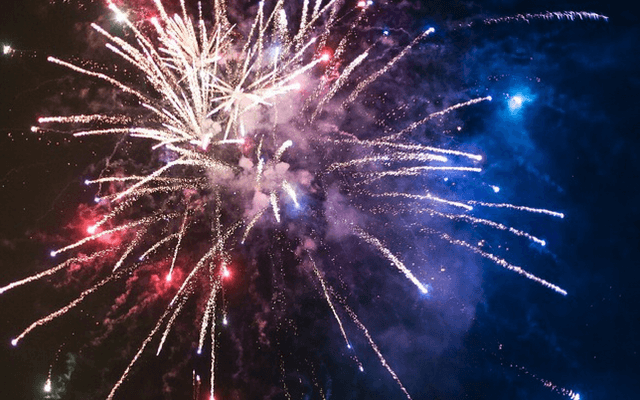 Many dogs have noise sensitivities, and fireworks aren’t the only triggers. Thunder, loud music, construction sounds, and anything else above a normal volume can put them on edge. “Our results suggest that the characteristics of dogs, their early environment, and exposure to specific noises are involved in the development of fear responses to noises. The day after July Fourth is one of the busiest days of the year for animal shelters because dogs afraid of fireworks panic and run away. They jump over fences, crash through windows, and do everything they can think of to escape the terrifying sound. It’s a serious risk, and you owe it to your dog to help them feel safe. CBD oil’s effectiveness in relieving anxiety is one of the main reasons why it has recently become popular. You don’t need to worry about side effects from prescription medications, and CBD oil is reliably fast-acting. At its root, a dog’s fear response to noise is all about anxiety. Loud noises make them feel emotionally distressed, wary, and like they have no control over what’s happening. The brain releases a cocktail of stress hormones that are more powerful than all your comforting words and soothing pets could ever be. CBD oil works by interacting with the endocannabinoid system to tell the body something isn’t right. The chemical imbalance that is anxiety needs to be put right, and CBD oil makes sure it happens. Many dog owners have found that after administering CBD oil, their anxious dogs become noticeably calmer. The fear that clouds their minds is lifted, and they’re better able to cope with their emotions. To use CBD oil to your dog’s best advantage this Fourth of July, administer your chosen product’s recommended dosage 15-30 minutes before the festivities are expected to start. CBD oil works fast, and you should see results the first time you try it. Dosage will depend on the specific product you use and whether you’ve chosen a tincture or an edible treat. Start with a low dosage and only increase if you don’t see results. The great thing is, current studies show it’s impossible to overdose on CBD. If you accidentally give your dog more than anticipated, there’s a very low chance of it having adverse effects. 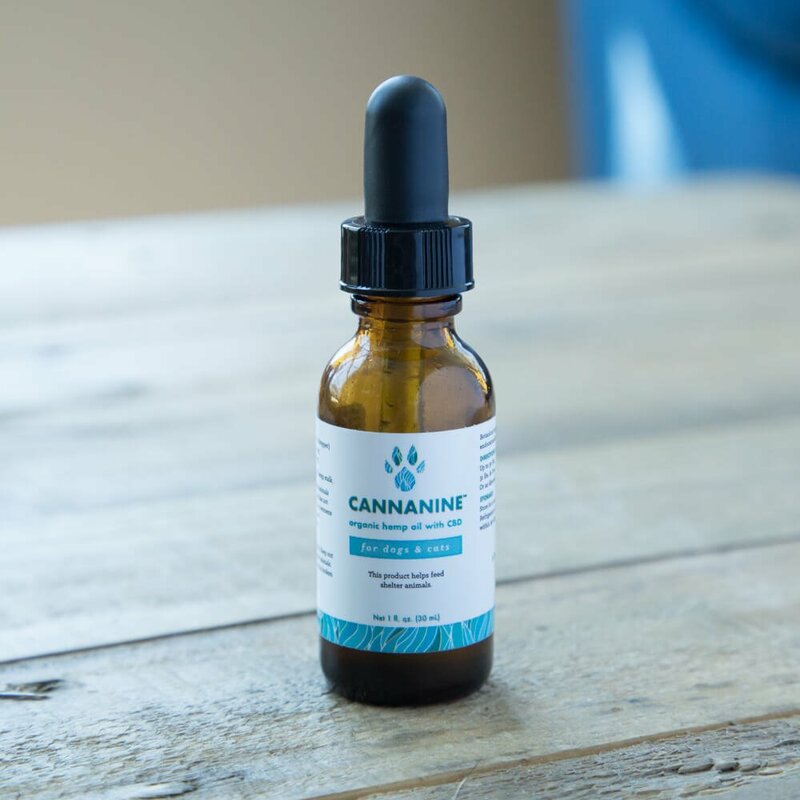 Cananine™ Organic Hemp Oil from iHeartDogs is an organic, non-GMO, and all-natural product that brings the benefits of CBD oil to your dog. It contains no THC, and because it’s derived solely from hemp, it’s legal in every state. There are no heavy metals, bacteria, or mold, and patented Nano-Sized Microemulsion guarantees high absorbability, so your dog can take advantage of every drop. It’s safe, all-natural, and most importantly, it works. If you’re ready for you and your pup to have a stress-free Fourth of July, talk to a holistic vet about how CBD oil can help your dog with their fear of fireworks. 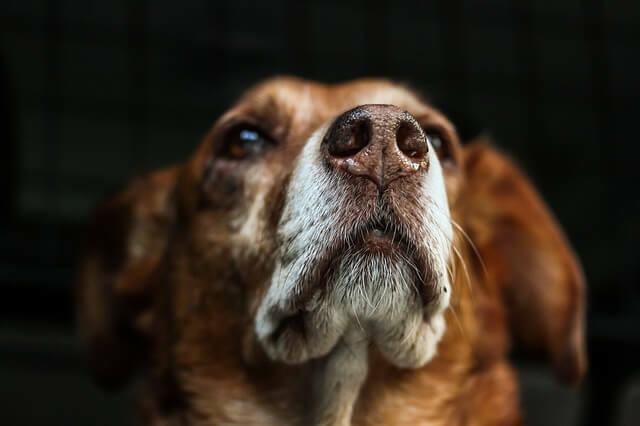 If you’d like to learn more about CBD, we’d encourage you to view our extensive guide to CBD for dogs.